I want you to know that this idea was totally Daniel's, the little genius. 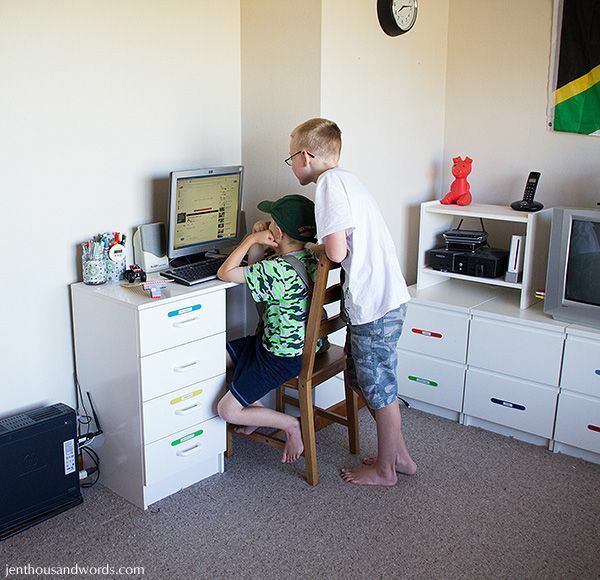 See, in the playroom there is a desk and a computer. Which is fine if only one child wants to go on the computer at a time. But sometimes they both want to be on it at the same time. We do have a laptop that Daniel uses but there was nowhere to put it. 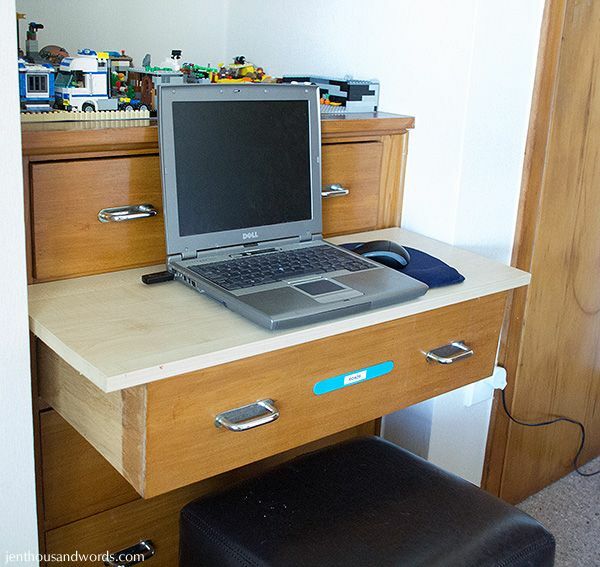 Daniel asked me to remove the litlte cupboard that sat on the chest of drawers, which I did, thinking he wanted to use the surface for the laptop. Nope, it was for his Lego village. So the laptop-desk problem remained. Then Daniel came up with this idea. Did you notice the plank next to it? 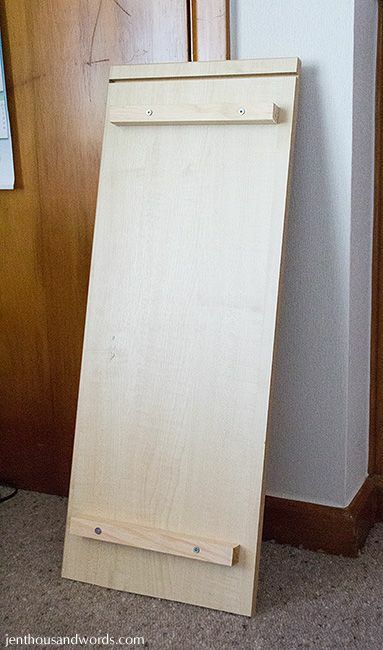 ... you end up with a desk! 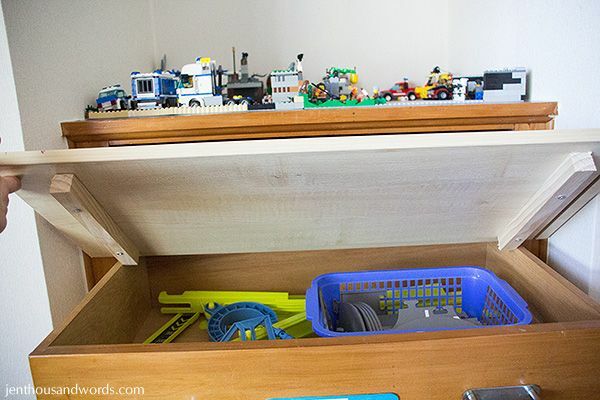 Another change in the playroom is that the Lego container never sat on the drawer units - the space was always full of Lego creations, which also spread to the bedroom and floor. 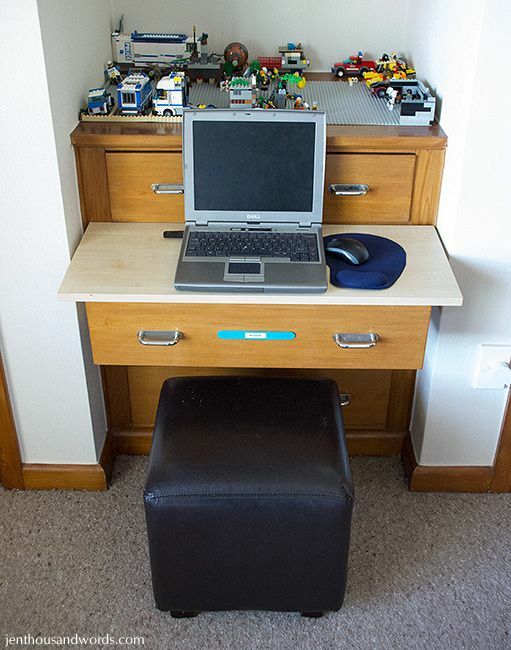 So I bought a couple of cubby units from Warehouse Stationery, and added legs between the two, screwing the whole thing together. 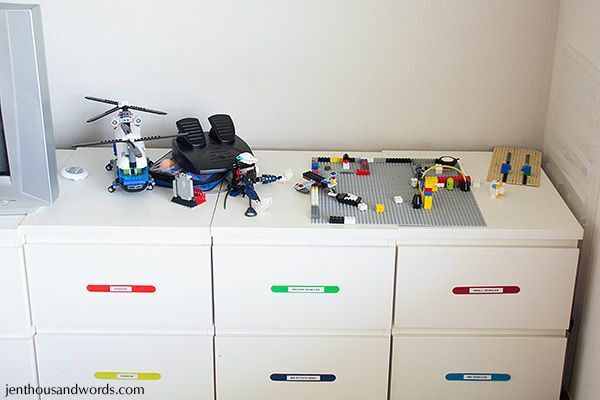 Voila, Lego storage. 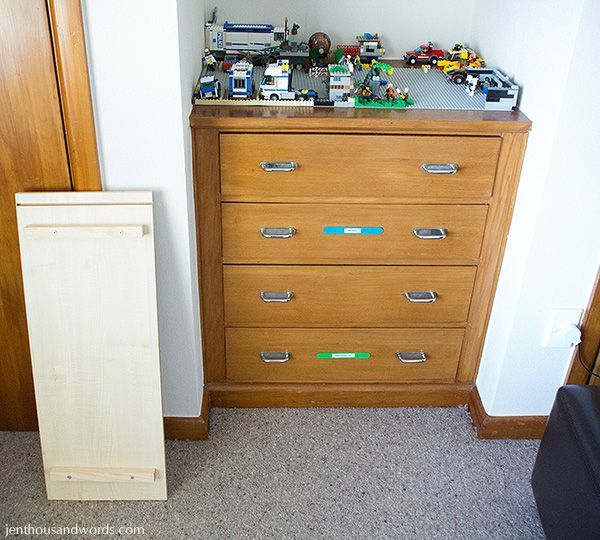 The Lego container now sits on the little bench under the window. 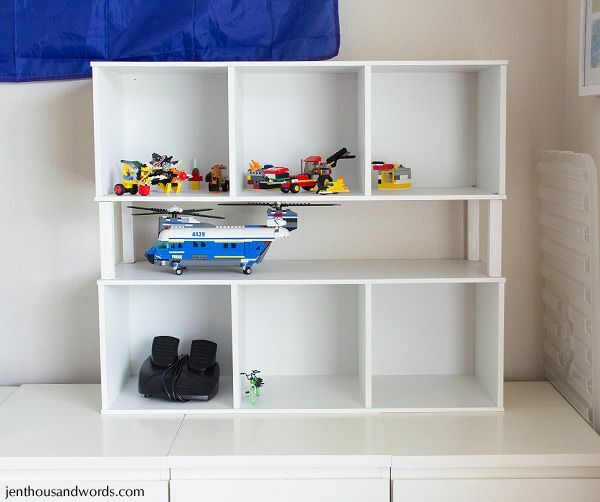 If they need even more storage I'll add a shelf within each cubby, dividing it in half and doubling up the storage space. I love how spaces evolve as problems present and solutions are found!